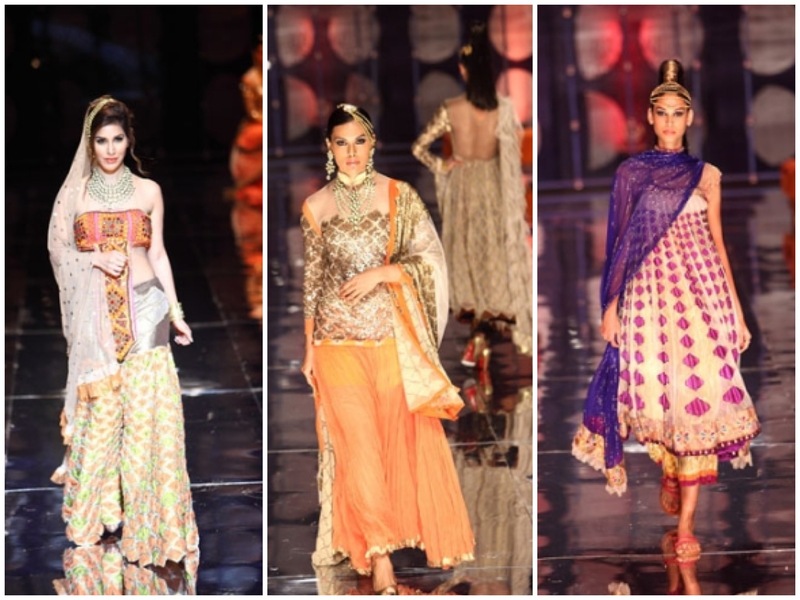 Meera Muzaffar Ali, a painter turned designer along with his wife presented their collection “Pearl of Orient,” inspired by Awadh heritage. 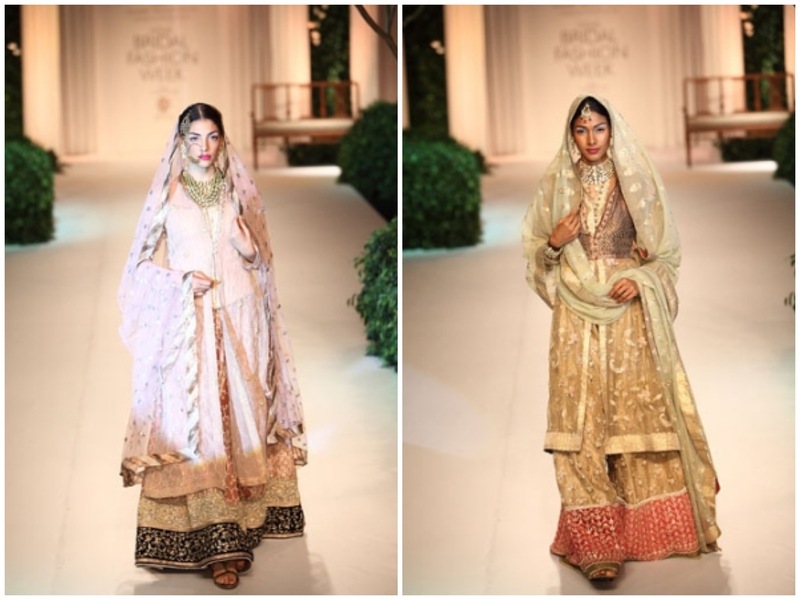 There was hues of off whites, nudes and beige with long jackets, and lehengas. There was lots of richness to the collection. 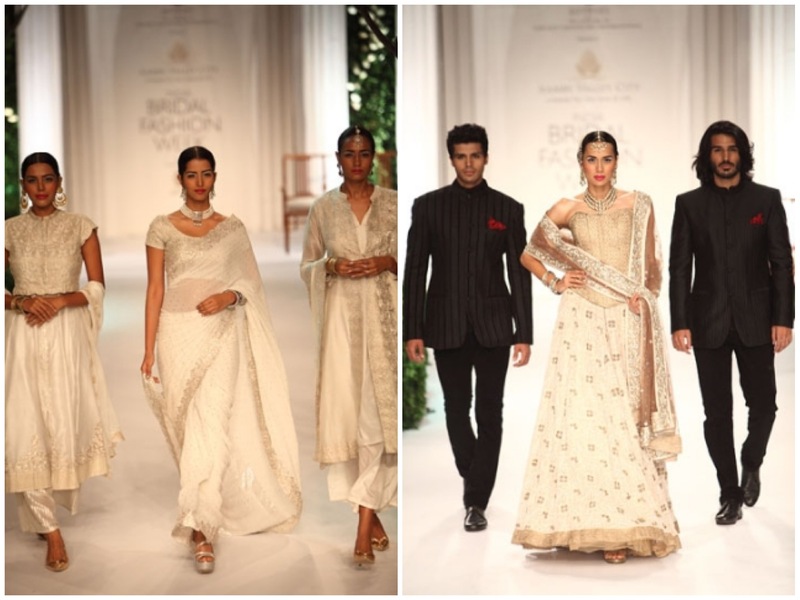 It was such a beautiful collection, it took me back to old India where there was lots of tradition. Rina Dhaka, a veteran designer, presented her collection “Free Spirited Bride.” There was a play of textures with embroidery. Neutral shades were paired with brighter hues to give a strong contrast. I liked the idea of flared pants with the short anarkalis. 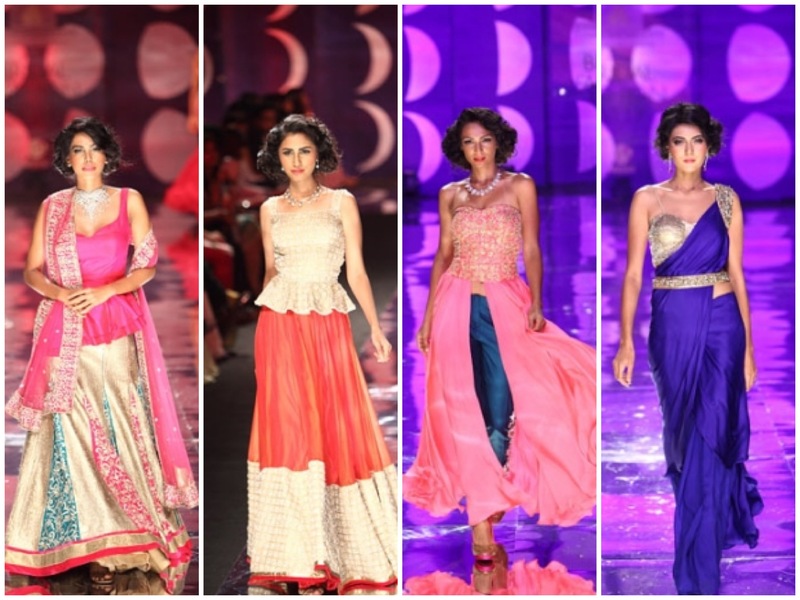 Jyotsna Tiwari presented her collection ELOHIM. 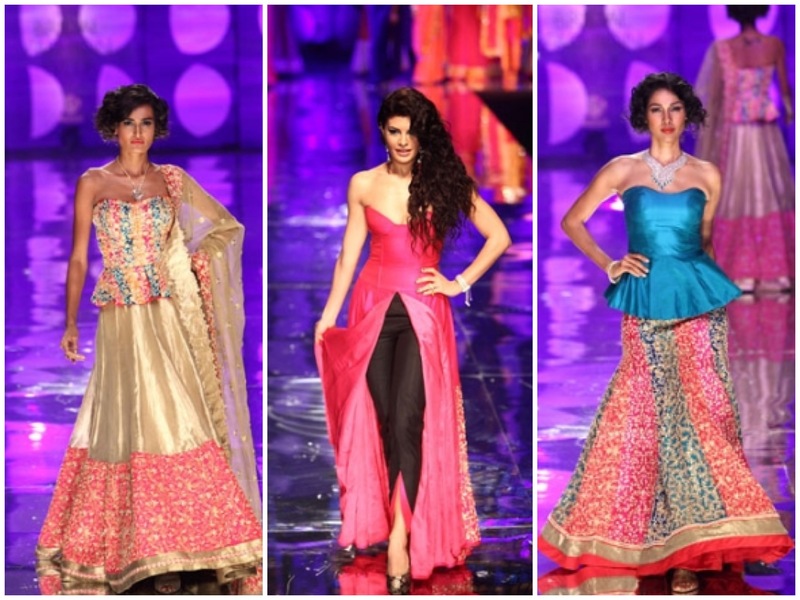 Her inspiration was based around the idea of weddings, such as colors, the festivities, and just having fun. She wanted to present classic silhouettes with international trends. 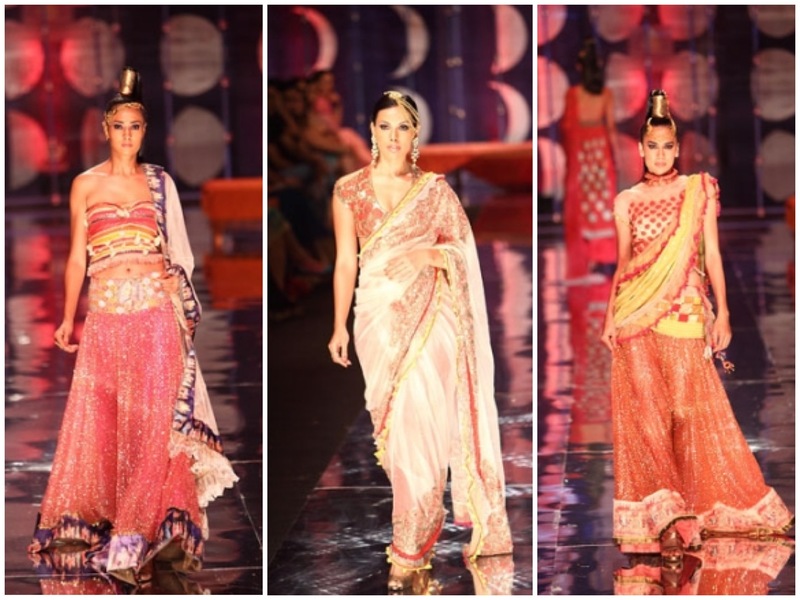 It was a beautiful blend of traditional and western silhouettes with a touch of Indian. 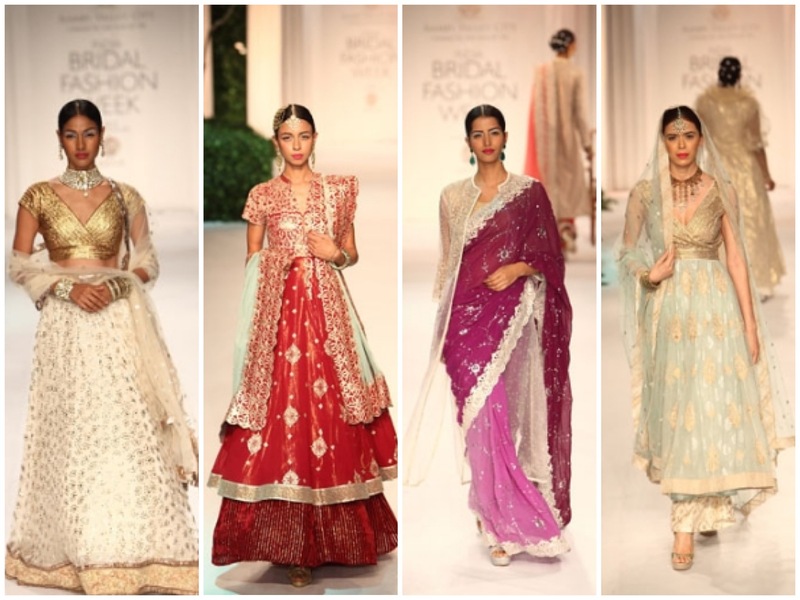 A modern bridal collection that would make any bride in the world want to wear it.